While getting a foot massage is nice, there’s nothing quite like the power of warm water and hydromassage in an American Spa. Just as your shoulders, back, and legs benefit from this soothing pressure, you can use these same tricks to revive fatigued feet. Choosing a spa with foot jets is a good choice because the benefits are physical and mental. Simply keeping our feet stimulated will help increase circulation, boost your immune system, decrease inflammation, and generally make you feel better every day. These are the perfect ingredients for a healthier lifestyle with increasingly fewer health problems. Blood circulates through the body and carries oxygen and nutrition to your body’s cells. The blood releases toxins and clears waste from the body. Blood flow decreases when we are stressed. Placing your feet on foot jets will allow circulation to flow freely. Stay clear of foot problems in the future by taking good care of your feet. Hydrotherapy on your feet helps reduce stiffness and increase flexibility. Increase your balance by keeping your foot muscles relaxed and flexible. The human body has an amazing ability to heal itself. Tissues heal most effectively when they receive a healthy supply of blood. Our extremities may suffer poor healing due to insufficient or compromised blood flow. This results in a prolonged healing process. The feet, ankles, lower legs and knees are prone to this occurrence. Soaking in an American Spa and placing your feet on the foot jets can help with recovery and muscle soreness. Stimulating your feet with hydrotherapy combined with exercises can prevent future injuries and speed up recovery. Having a hydrotherapy session 3-5 times reduces the risk of injury. Strengthening your ankle can help increase your balance, make your foot strong, ultimately reducing clumsiness. Stress is detrimental to your health and wellbeing. American Spa is the perfect environment for quieting the mind. The sound of the jets lulls you into a mental space that fosters relaxation and stress reduction. Find a simple meditation exercise that you can practice while sitting in your hot tub. The benefits of meditation coupled with the inherent benefits of using your spa puts you way ahead in the healing process. Taking time to yourself to gather your thoughts and breathing in the fresh air while bubbles are on your toes allows gratitude. Regions of the feet alleviate a depression symptom, which makes jets on your toes, a good way to cope. Having flat feet or plantar fasciitis is not pleasant. A good relaxing hydrotherapy foot massage can relieve inflamed tissue at the bottom of your foot and eases the stress on your feet. 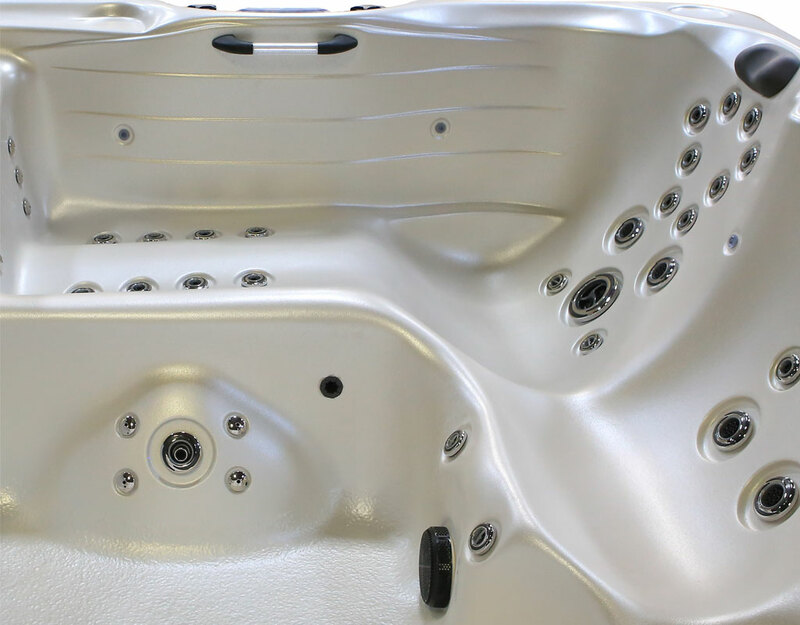 Chronic and acute musculoskeletal ailments benefit from hot tub hydrotherapy. Whether it’s a new injury or a nagging case of sciatica hydrotherapy can help. Injured and fatigued muscles benefit from improved circulation. As blood flows in and out of an area, toxins are transported out and eliminated by the body. The water temperature and pressure of the jets assist with this process. Hot tub circuit therapy is beneficial as well. This involves moving from seat to seat in a hot tub in measured time intervals. Jets on your toes will help relax your muscles, calm your nerves and increase your blood circulation. The foot has many pressure points that when massaged, will relax the entire body. When stimulating your feet with hydrotherapy, you are releasing toxins and stress. Reducing the pressure and allowing the ability to wind down and bring new energy into the body. Take time to consider the benefits of hot tub hydrotherapy. Invest in your health and well-being. It’s time to experience optimal health. If you’re already an owner we would love to hear how you are using your American Spa for Work Life balance. Follow US on Social Media to see your images featured.